The Climate Bonds Initiative has a hugely ambitious agenda to mobilise bond markets for climate change solutions. To help us achieve this vision, we need the support of the whole global financial sector: from investors, banks, issuers, services providers as well as governments and related institutions. 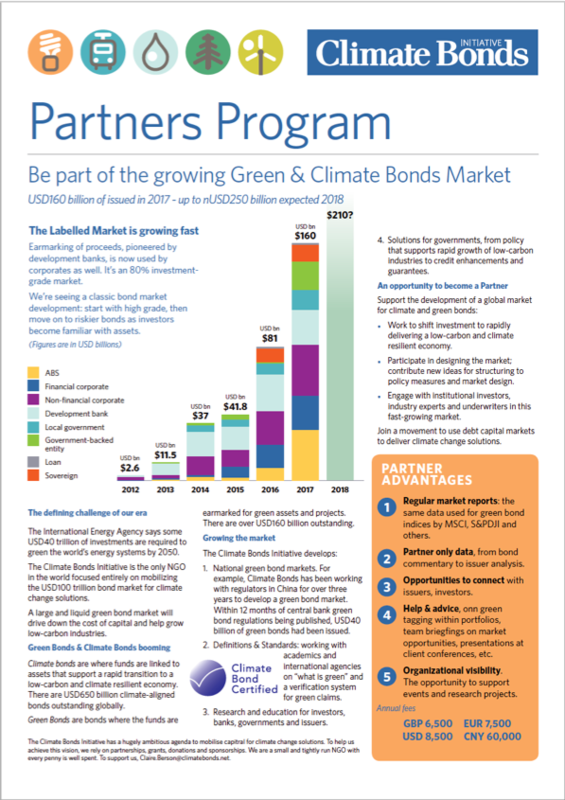 In becoming a Climate Bonds Partner you join a global movement that seeks to utilise bond markets to deliver a rapid transition to a low-carbon and climate-resilient economy. Businesses and organisations of all shape and sizes can join us on this ambitious journey and get the opportunity to play a key role in providing scalable solutions to what has quickly become by far the most urgent issue of our time. get the opportunity to more actively participate in Climate Bonds programmes and projects around the world. The Climate Bonds Initiative is a registered charity, and donations are tax deductable in the UK. For major Corporate Sponsorships & Donations please contact us. Access to bond market data, including the latest green and climate bonds, underwriter details and new investment areas. Market insights, tailored corporate briefings and advice making the most of opportunities in the market. Opportunities to connect with issuers, banks, investors, and other Partners. 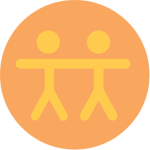 Organizational visibility: ability to use the Climate Bonds logo on organizational material and website.